Friends! The Musical follows the wacky misadventures of six 20-something pals as they navigate the pitfalls of work, life and love in Manhattan. Ross, Rachel, Chandler, Monica, Joey, Phoebe and Gunther are back! Created by Bob and Tobly McSmith, this duo has created musical parodies for the stage of Saved by the Bell, 90210, and Full House and are ready to present this celebrated 90s sitcom as their next big Off-Broadway hit! Paul Stancato (Director) Paul Stancato is an award-winning director/ choreographer who works in theatre, film and television. Paul has been tapped to direct a project for Universal Studios Beijing. Palm Beach Dramaworks- one of South Florida’s premier not-for-profit theatres- will be bringing Paul on board to helm Collected Stories by Donald Margolis for their 2016-’17 season. He recently directed/ choreographed the 2014-’15 National Tour of Jekyll and Hyde. From 2012-2014, he served as the Artistic Director for Franco Dragone’s, The House of Dancing Water in Macau, China. He was the Resident Director for the National Tour of Disney’s The Lion King, 2006 -2010 (2008 Helen Hayes nomination for Best Touring Musical). Lynn Shore (Producer) Lynn is the writer and producer of Happy 50ish, the 2015 off-Broadway hit that played at The Beckett Theater at Theater Row. He is now co-producing the road tour with his production partners, Theater Mogul. Shore’s voice can be heard on numerous commercials for Ford, Disney, The Biltmore Hotels and others. He also voiced seven characters for Sony’s animated series “Gun Parade March,” “Demon Lord Dante” and sang three solo tracks on the 2012 Grammy Award-nominated children’s album “ABC Mouse: The Alphabet Songs.” Lynn Shore is the recipient of the 2013 Jason Robert Brown World-Wide vocal contest and performed with him at 54 Below. 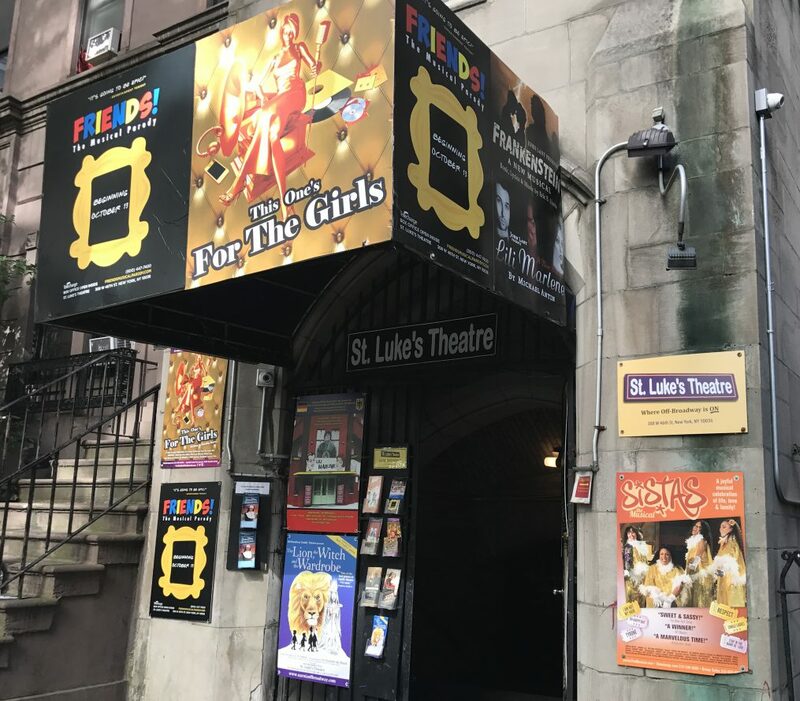 St. Luke’s Theatre is a 174-seat Off-Broadway theatre at 308 West 46th Street, the Restaurant Row, just west of Eighth Avenue in Manhattan’s Theater District.